If you are a Cult & Boutique client you should have received a letter from us recently announcing the relocation of our company and client stock holdings from London City Bond in Hillington, near Glasgow to their state of the art fine wine storage facility named Vinothèque, in Burton-upon-Trent. As stated in the letter, this is a huge bonus for our clients, as we have negotiated with London City Bond for our clients to continue paying the lower priced Hillington rates for storage at Vinothèque. Stock movements began on 6th June and are anticipated to take between two to three months to complete. If you haven’t visited your wines before, we would highly recommend a journey to Burton-upon-Trent to be shown around once the relocation is complete. 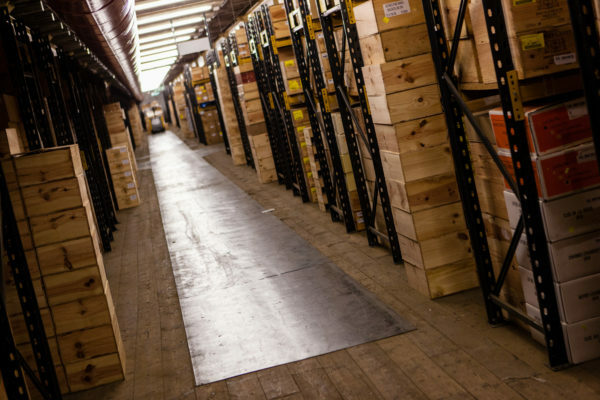 If you have any questions feel free to contact your Portfolio Manager directly but in the meantime ahead of the relocation of our stock holdings to the Vinothèque facility, we spoke with the General Manager, Jane Renwick to find out more. How long have you worked at London City Bond? I have been working for LCB Vinothèque for just over 3 years; previously I spent 20 years with Octavian. What does your role as General Manager at Vinothèque involve? As General Manager I am involved in the day to day running of the operation; a few examples of my duties are the maintaining of customer relationships for both the internal and external customer, looking at ways to improve our processes and make the necessary changes, system improvements/enhancements, marketing, accounting/budgets and staff development. I am fortunate in having a very dedicated and strong Management team who work alongside me in making Vinothèque a leading fine wine storage facility; we are constantly looking at ways to improve our services to make the experience of storing fine wine as enjoyable as the product itself! What keeps you inspired at work? Having worked in the wine industry for over 23 years, I still feel as passionate about the business as I did on my first day. My role is very diverse and I am engaged with the business at every level so no one day is the same. Working for a prestigious, forward thinking company has allowed me to expand my skills and develop those of my staff. I am a great believer that within the service sector people make a business, the more you engage with your staff the more effective they become resulting in more reward for all parties. What makes Vinothèque unique in the world of wine storage? The people! With an average length of service of more than 10 years, staff turnover at Vinothèque is extremely low. We believe product knowledge is a key requirement for our team and as such we have encouraged them to progress through the industry recognised Wines & Spirits Education Trust programme. Vinothèque has undergone extensive refurbishment whilst in the ownership of LCB, including a spend of £1 million to install fully controllable air conditioning and humidity control, capable of allowing us to maintain the temperature of 13 degrees plus or minus 1 degree throughout 365 days of the year. Should there be any deviation from this, for whatever reason for more than 20 minutes an alert is automatically sent to senior members of staff. This is a unique system within warehousing of this type anywhere in Europe. We won the Best Supply Chain Innovation Award in 2015 for our commitment to our customers to ensure that their wines are stored and matured in perfect conditions. All deliveries from Vinothèque are provided by our unique and dedicated LCB network, which in peak times can deliver more than 20,000 orders each week through its hubs in Tilbury, Barking, Cambridge, Melksham, Burton upon Trent and Glasgow. What are the benefits of storing wine at LCB Vinothèque in comparison to LCB Hillington? We have invested heavily in a bespoke air conditioning and humidity control system making conditions perfect for the storage of fine wines, coupled with enhancements to our security system, to include 24 hour external CCTV monitoring and an on site security guard. With over 6,000 private customers holding their fine wines at Vinothèque we understand the importance of customer care and as such have a dedicated and experienced customer services team who will assist the customer with all types of enquiries allowing for one point of contact and by having such individual attention it has proven to be a great way of building a solid business relationship. The introduction of a bespoke photographic studio allowing the customer to view their bottles of wine and case from their own computer in the comfort of their own home has proved invaluable, of course for trade customers it is a great tool when looking to sell or buy wine. Is it a huge undertaking to relocate our Clients’ wines to Vinothèque? We are very experienced at transferring fine wines whether they are from another bonded facility or a private residence but we will monitor the entire process to ensure a smooth transition and keep you updated on progress on a regular basis. Our ultimate aim is to ensure there is no interference with our services and that you and your customers experience a seamless transfer. What is the process if our Clients want to visit Vinothèque to see their wine and the premises for themselves? Something we always encourage, not only for the purpose of the customer being able to view their wines within our bonded facility but also this allows them to meet our teams, put a name to a face. However, we would ask the customer to make contact with Cult & Boutique in the first instance to advise of their request. This ensures that all parties are aware of the visit for the purpose of planning with our Stock Control team and for security reasons. What is the total capacity of Vinothèque and what plans do you have once it’s full? 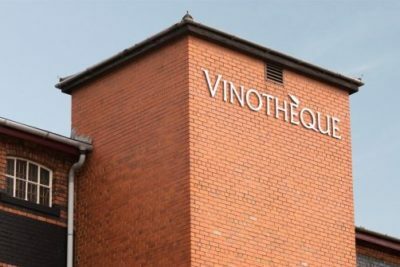 Our current stockholding is 520,000 cases, when Vinothèque reaches capacity we plan for other facilities around the country to include an additional site with Burton. Do our Clients’ wines have the same level of insurance cover as they had at LCB Hillington? On the rare occasion that you get some down-time, what’s your drink of choice? Love bubbles – in particular Taittinger Champagne!